Ideal for use as a starting point for streams in pond-less waterfall applications. Makes an impressive waterfall in poolside applications. Extra strong vertical rib design is nearly indestructible, allows rock and block to be stacked directly on top. 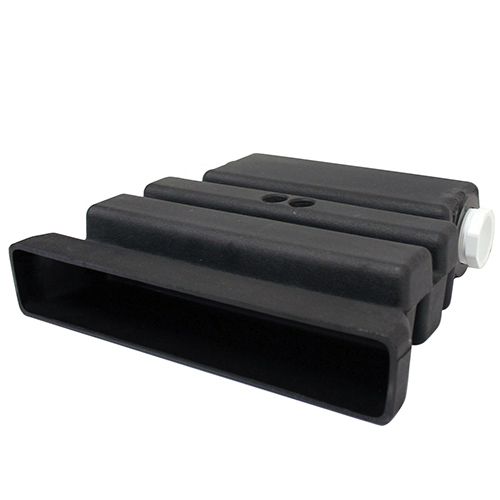 All units 14" deep x 3-1/2" tall, the low profile makes diffuser easy to conceal. Dual 2" inlets on all models. Internal baffles diffuse incoming water for an even flow.